Two LUSH Fresh Face Cleansers You Need in Your Skincare Arsenal Right Now! Home » blog » Two LUSH Fresh Face Cleansers You Need in Your Skincare Arsenal Right Now! I feel like I’m constantly speaking about how the rigid New York City winter weather has wreaked havoc on my skin. Something can work for a month or two, and as soon as there is a fluctuation in temperature, my skin becomes temperamental. It’s frustrating. Lately, I’ve been using two LUSH Fresh Face Cleansers, and my skin is asking me why I didn’t start to use either of the two LUSH Fresh Face Cleansers sooner. 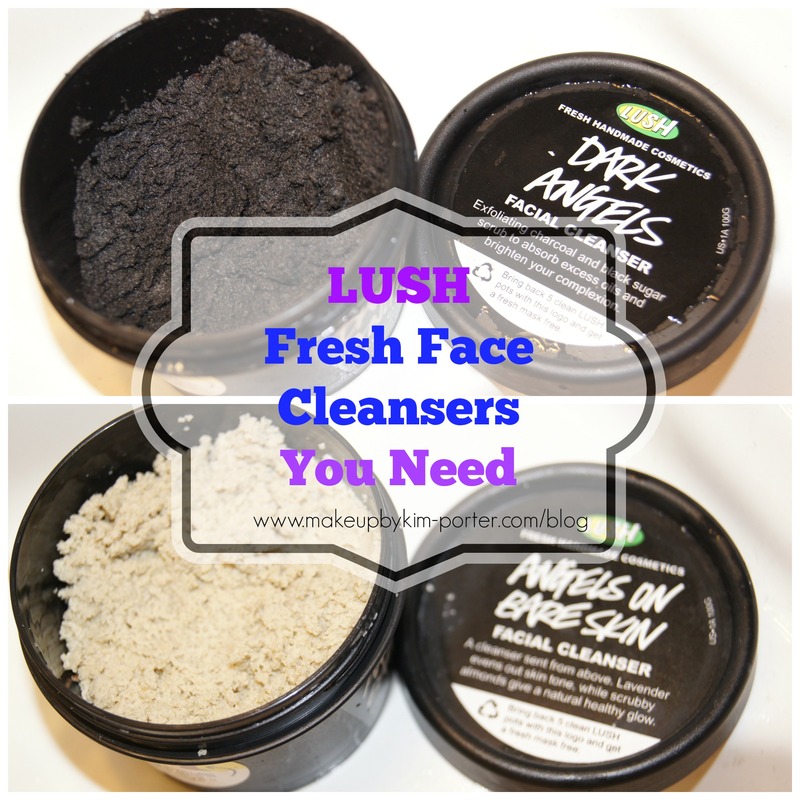 The two LUSH Fresh Face Cleansers I’ve been using are ‘Dark Angels’ and ‘Angels on Bare Skin’. Since I know my skin loves charcoal products, I began to first use the Dark Angels LUSH Fresh Face Cleanser. 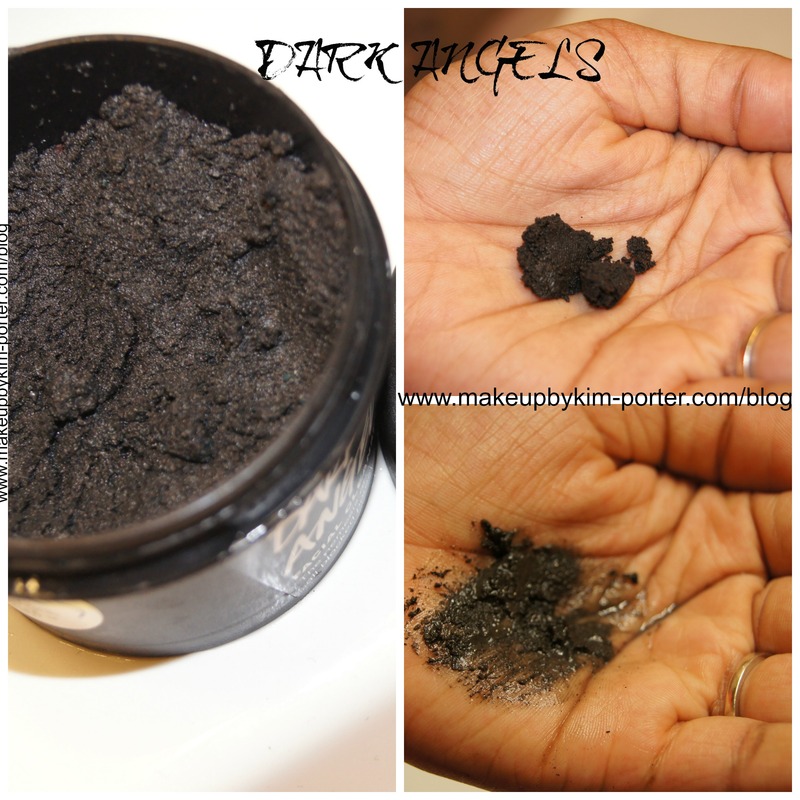 Dark Angels is a charcoal and black sugar cleanser that gently exfoliates, absorbs excess oil, and leaves the skin looking brighter and feeling smoother. The Dark Angels LUSH Fresh Face Cleanser was gentle enough for me to use both night and day, but, if you do experience dryness from overuse/over exfoliation, then cut back to once per day. After my first use, my skin no longer looked dull. Areas where I had some dry skin that my other cleanser and facial sponge failed to remove, the Dark Angels LUSH Fresh Face Cleanser got rid of. I was amazed at how smooth, soft and supple my skin was after rinsing, too! There were times when I used it before going to bed that I didn’t even have to use a moisturizer – I’d just use my Dermalogica Skin Hydrating Booster and go right to sleep, and wake up with great skin! The Dark Angels LUSH Fresh Face Cleanser can get a bit messy if you aren’t careful. Just make sure you add the proper amount of water to it, creating a paste, and then apply it to your face. I usually rinse it off while I’m showering, and it hasn’t stained my face or my tub. Ingredients: Ground Almonds (Prunus dulcis) , Glycerine , Kaolin ,Water (Aqua) , Lavender Oil (Lavandula hybrida) , Rose Absolute (Rosa centifolia) , Chamomile Blue Oil (Matricaria Chamomilla) , Tagetes Oil (Tagetes minuta), Benzoin Resinoid (Styrax tonkinensis pierre) , Lavender Flowers (Lavendula hybrida) , Limonene , Linalool. Angels on Bare Skin LUSH Fresh Face Cleanser is another reason my skin is thanking me. The ground almonds and lavender flowers make it a great gentle exfoliator for daily use even twice a day. When using it, it doesn’t feel like it’s doing much, but after you rinse it off, your skin is like ‘WOW!’ Super soft, moisturized, radiant and clean. Angels on Bare Skin, like Dark Angels can get a bit messy, so I use it in the shower, too. I first apply it over the sink, and let it sit on my face sort of like a mask while I’m washing everything else in the shower, and rinse my face last. This also allows the Kaolin clay to better do its job. I’m going to admit that I [accidentally] tasted Angels on Bare Skin. While massaging it into my face, some dripped down onto the crease of my lips, and I got a hint of sweetness. Thank God all of the ingredients are natural. It was only a little bit, so I’m certain I wouldn’t have died. Overall, I’m happy with both LUSH Fresh Face Cleansers. Both cleansers leave my skin feeling clean without feeling stripped and dry. Since using both LUSH Fresh Face Cleansers, my skin has looked so much better. I can now go out without makeup (no concealer, no foundation), and still have a fresh faced look. Although a little bit expensive, you can get a lot of use from a 3.5 oz jar since you’re not using that much; you only need a pea sized amount for your entire face; however, if you use it for your face and your body, you will definitely run through it a lot quicker. The LUSH Fresh Face Cleansers are also available in a large size to accommodate those individuals who prefer to use them on their face and body. The LUSH Fresh Face Cleansers are the perfect option for whipping your skin into shape for the summer. Just think of it as spring cleaning for your skin. Aqua Marina: Those who have a tendency to react to citrus or strong herbal oils will find salvation in Aqua Marina’s gentle aloe vera and moisturizing nori seaweed. Especially cooling on wind-chapped faces, Aqua Marina is perfect for normal to dry skin types. Herbalism: Best suited for those who have tried everything to clear up their oily and blemish prone skin with an antibacterial blend of rosemary, nettle and chamomile. Ground rice bran acts as an effective exfoliant, while kaolin clay deep-cleanses pores. Let The Good Times Roll: A luxuriously soft and sweetly-scented cleanser, Let The Good Times Roll is made with maize flour and corn meal to gently exfoliate, and a dash of cinnamon powder to cleanse and warm cold winter skin. It’s perfect for normal or dry skin types looking for a light exfoliation. Have you tried any of the LUSH Fresh Face Cleansers? Disclosure: Product was provided for review consideration. All opinions are my own and are honest. « BBC May Day 2014 Gift Card #Giveaway – 3 Winners! Will you be able to order online from them? I looove Angels on Bare Skin, it's one of my absolute favorites, and Aqua Marina is up there, too. Dark Angels is on my list to try, but at the moment I'm trying Herbalistm, which I also enjoy so far. I'm going to check out Aqua Marina. I need to post about the two masks my husband picked up for me. Those were good, too. I've never tried a cleanser from LUSH but I've been meaning to. Everyone seems to love them! Oh I would love to try that charcoal one. That seems like something I'd love! Plus I need something new that will exfoliate my skin. I've been using the St. Ives scrub forever and its time for something new. Plus, I love the idea that it will brighten my skin. I've used and love both of these! I can't get enough Lush! These are great. Have you tried any others that you recommend? My all time favorite is coal face! Bar soaps always keep my face more matte than other cleansers. I also love the sea salt! I still haven´t tried any Lush products, but I think I should. They all just sounds to be so good! I don't know why I haven't tried any cleansers from LUSH. I will add these two to my last, nice reviews! Oooooohhhhh Dark Angel sounds amazing! My skin loved Charcoal too. i think I seriously need to get this ASAP! Ah, crap. I was telling myself I didn't need these. Now I definitely do. Angels on Bare Skin is one of the few products with lavender that doesn't trigger headaches or migraines for me. I like it. You're right! I need them both right now! I love that they have Angels in the name! I adore LUSH but haven't tried these masks. Does the Angel one smell like the dusting powder? I'm going to have to visit lush to smell the dusting powder in order to compare. I'm not even sure. I have tried Dark Angels before and really liked it! 😀 Great reviews! I keep saying I need to try LUSH. I really think I need to now! Yes!! I love Lush Face Cleansers. You can never go wrong with their products. Thank you for sharing, I was never sure which LUSH cleanser would be the right choice for me. These sound so nice! I'm going to be so overwhelmed if I ever get to a LUSH store. I really like LUSH products but I don't think my dry skin would play nicely with these, I'll have to see if they have something a bit more moisturizing! 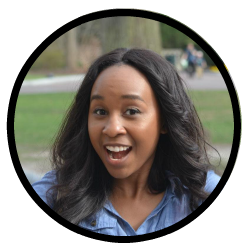 I want to start moving towards more natural skincare, so these are on my radar! 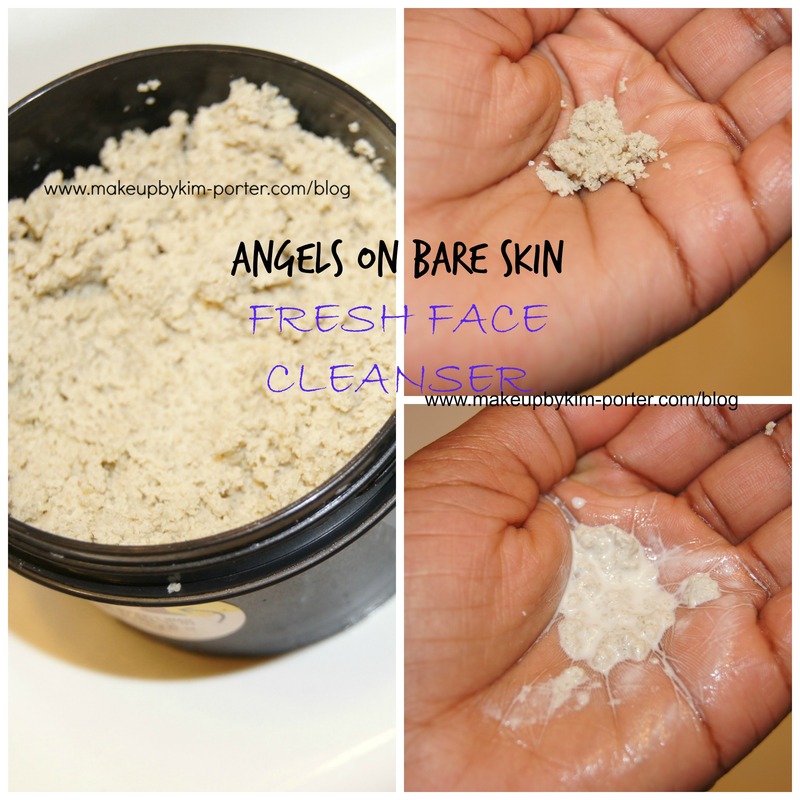 Angels on Bare Skin is my go to cleanser for LUSH! It's great. I can't wait to try the others. Aww one day you'll try something. It's interesting that it is a powder. I have never seen that before. Looks good though! I cannot wait for the LUSH store to open in my local mall. I so need to make a stop there. Dark Angel looks very interesting! I love that you did the yin-yang of dark vs angel. Very cool! I need a trip to Lush – I want to try both! I've been looking for a new cleanser, thanks for sharing!